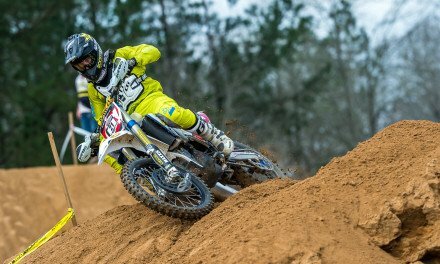 Union, South Carolina (November 12, 2017) – Costal Racing/Husqvarna’s Ryan Sipes claimed his fourth win of the season with a 24-second victory over SRT Racing KTM’s Steward Baylor at the ninth and final round of the Kenda Full Gas Sprint Enduro Series presented by PRI Powersports Insurance this weekend at Big Buck Ranch near Union, South Carolina. And while Sipes won the battle, it was Baylor who won the war, his runner-up finish giving him enough points to top Beta USA’s Jordan Ashburn for the series title, making his second title in as many weeks after winning the AMA National Enduro title just the week before. 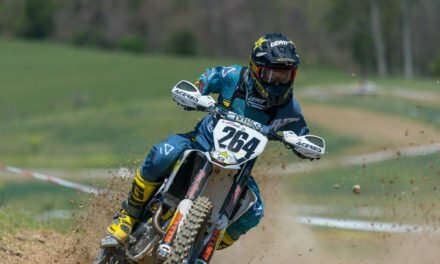 Sipes, who is a former professional supercross racer, kicked off Saturday’s event with a big win in the Cross Test, beating JCR Honda’s Trevor Bollinger by four seconds and Baylor by nearly 14 seconds. 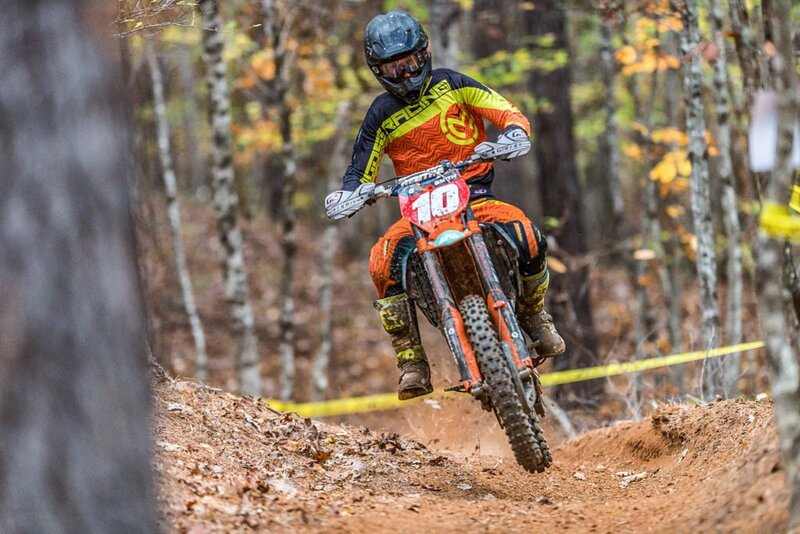 Integrity Acquisitions-backed KTM rider Evan Smith won the second test – an Enduro test – beating Baylor’s SRT Racing teammate Cory Buttrick by a little over a second, while Baylor was now getting up to speed and finished three seconds off of Smith’s time. Sipes wound up winning all three of the Cross tests on Saturday, while Baylor came on strong at the end of the day, winning two of the three Enduro tests, with the third one going to Smith. Sipes won Saturday’s round with a time of 00:36:12.051, edging out Baylor’s 00:36:18.481 by 6.4 seconds, and giving the Husqvarna rider a slight cushion in the fight for the overall results heading into Sunday. Smith was third on Saturday with a time of 00:36:21.188, while Ashburn (00:36:31.424) and Buttrick (00:36:32.232) rounded out Saturday’s top five. On Sunday, Sipes once again dominated the Cross tests, winning all three of them, however, Baylor managed to stay a little closer to Sipes’ times, making the battle for the win a tight one. Baylor managed to win an Enduro test, while Sipes finished second, fourth and third in the three Enduro tests. In the end, Sipes took the overall victory by 24 seconds over Baylor, with Smith finishing less then three seconds back in third. Buttrick finished off the weekend in fourth overall, edging Ashburn by less than a second. 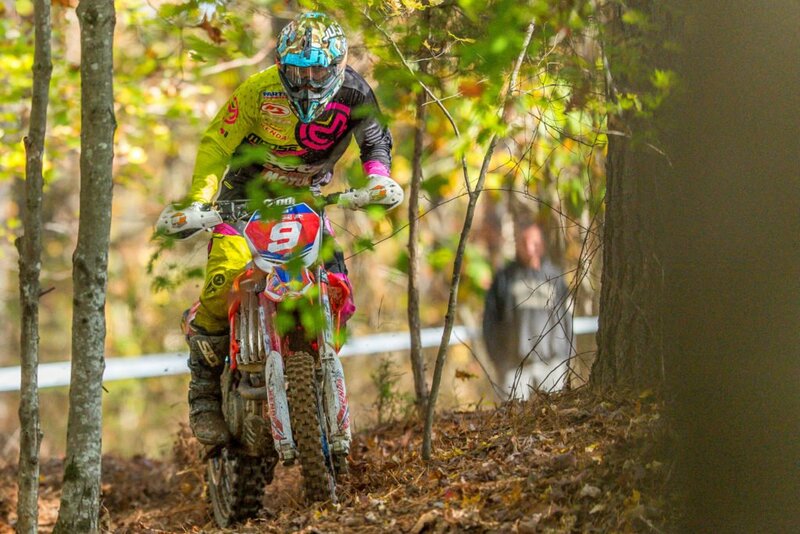 FMF KTM Factory Racing’s Russell Bobbitt rode a steady race to finish sixth, while Trail Jesters KTM Racing’s Ben Kelley made the drive from Connecticut to finish seventh. Anthony Frederico finished out the weekend in eighth. Meanwhile, Bollinger crashed in the Cross test on Saturday and injured his hand and shoulder, forcing him to sit out Sunday’s event. 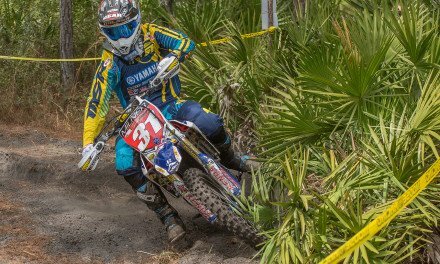 The Honda rider was credited with ninth, while Tyler McSwain also missed Sunday’s event and finished 10th overall in the pro class. 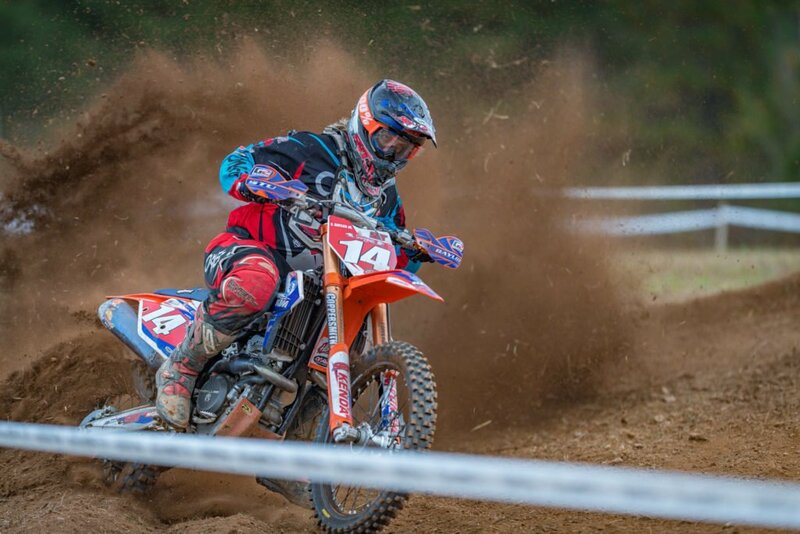 In the Women’s Pro division, Australian Tayla Jones won all 12 tests over the course of the weekend on her KR4 Husqvarna to cap off her championship-winning season. Tayla was riding a 125 Husqvarna this weekend. “I struggled a bit on the 125 because it was slippery and rooty and I had to make sure my throttle control was good, but other than that it was good,” said Jones. FMF KTM’s Becca Sheets was second, just two minutes off Jones’ pace, while Brooke Cosner was third, another three minutes and 20 seconds back. 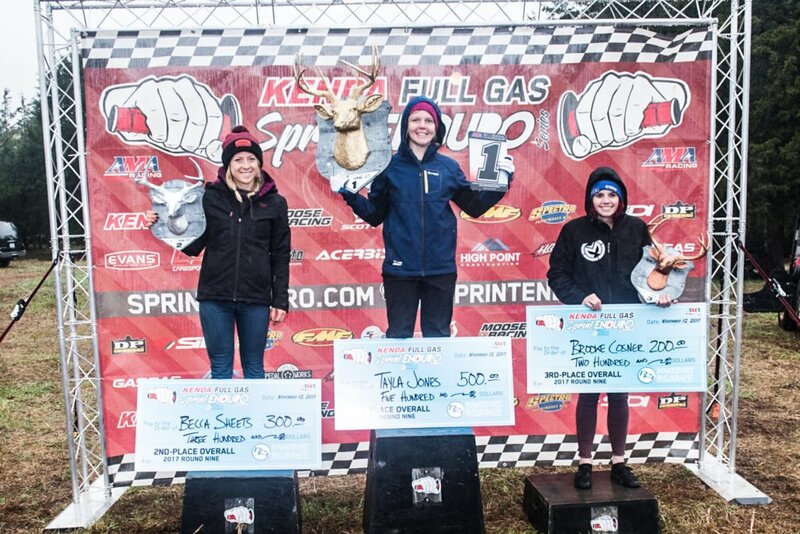 Brianna May took 4th-place in her first-ever Full Gas Sprint Enduro in the Women’s Pro Class. Billy Schlag put the finishing touches on his championship-winning season with another win, beating out Zac Brown and Conner Smith for the Open A win and finishing 9th-overall and second amateur for the weekend. 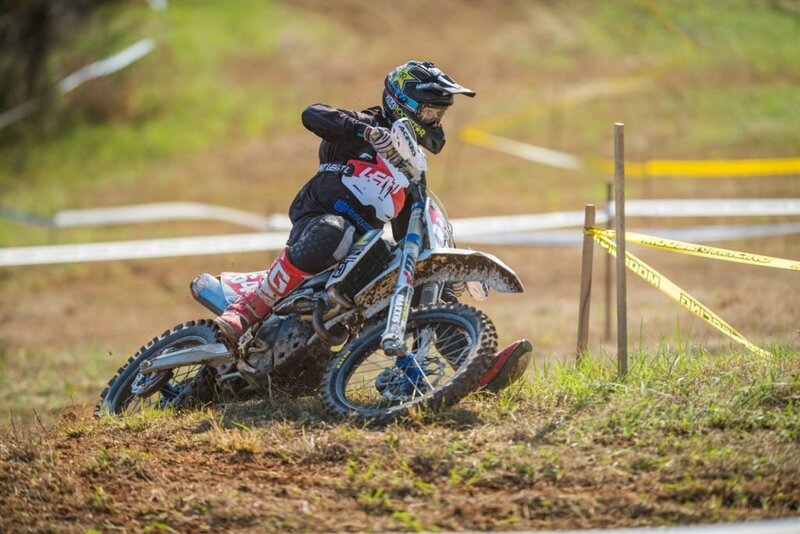 Cole Mattison continued his dominance of the Lites A class with a win over Brewer Cawley and Blake Grindstaff, clinching the class championship and the weekend’s top amateur spot in the process. 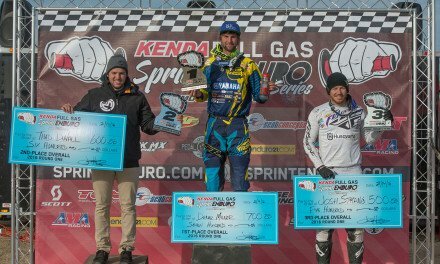 The 2018 Kenda Full Gas Sprint Enduro Series presented by PRI Powersports Insurance schedule will be released in a few weeks.